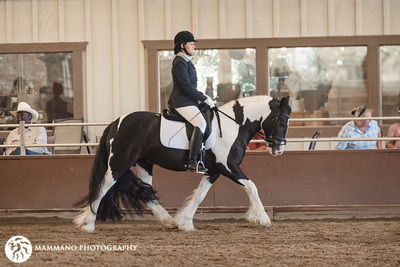 Vineyard Oak Training Dressage trainer Stacy Sutton offers an Individualized Full Training program that is specifically customized to suit both the horse and rider's needs in order to create a harmonious and successful partnership in a positive, fun, and supportive, atmosphere. While many of her students own and ride lovely Warmbloods and Gypsy Horses, Stacy uses a methodical and consistent training system that promotes a solid development foundation for each horse. This proven training system facilitates a successful harmonious bond between the horse and it's rider. 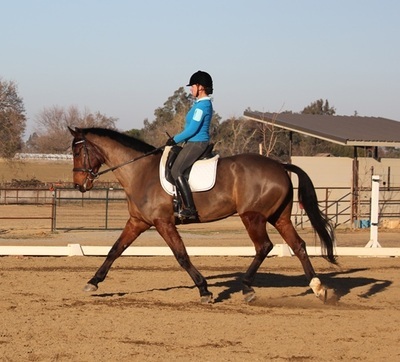 Stacy has much success working with other non-traditional dressage breeds, including the Western Dressage Horse breeds. She recognizes and understands the special physical and personality differences of each breed and tailors the training program accordingly. 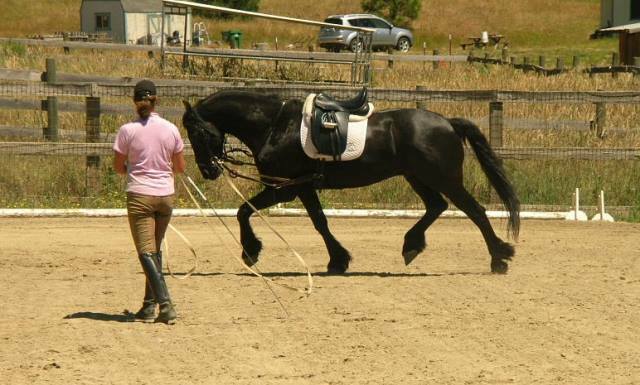 Stacy is available to train and instruct at the farm four to five days a week. Horses in full training are worked four to five times a week, and all horses receive at least one day off. Horses and riders in training, also enjoy trail rides on exclusive private riding trails. This change of scenery out of the arenas refreshes the horse's mental attitude and stretches and strengthens their bodies. We additionally attend schooling shows and "schooling day trips" away from the farm to help expose the horses to new surroundings in order to mentally prepare them for confidence in the show ring. Stacy believes that much of the equine lifestyle is not only about the positive relationship created between trainer and client, but also between clients. Stacy feels the training environment should also provide a positive and supportive barn atmosphere. She offers her clients other educational opportunities such as outside clinicians and seminars, "field trips" to educational events, barn group outings, and fun social events. Full training includes our full care training service, in which the horse is bathed, treated for minor vet care to lay up injuries, legs are liniment and wrapped as needed at no extra charge. 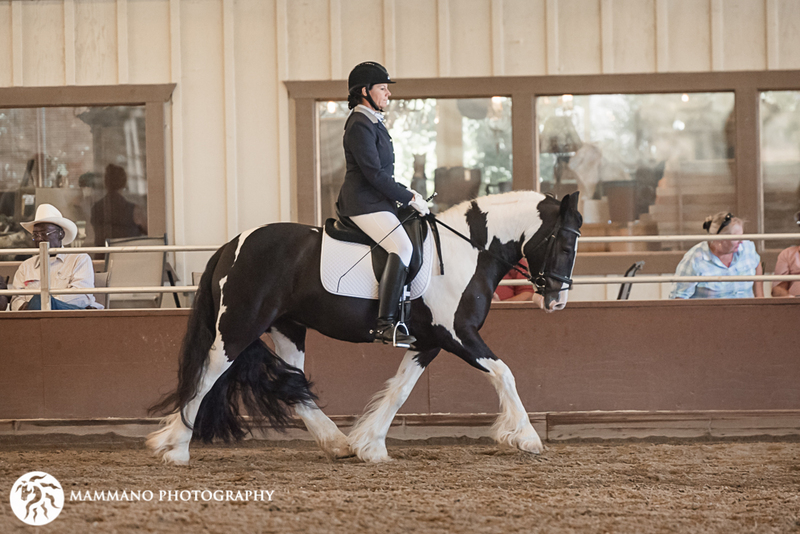 Select long-term spaces are available for the training of dressage horses and dedicated students, or for owners wishing to have Stacy Sutton campaign their horse. Short term training is available upon availability for clients, a minimum of three months is required. Stacy Sutton specializes in training the Gypsy Performance Horse. Dressage basics are used as a foundation for all the Gypsy horses in training which easily translates to all forms of riding disciplines should the owner wish to show in a variety of disciplines. Stacy shows the Gypsies at Dressage Shows,Western Dressage shows, and Gypsy Breed Shows throughout the season, including Breed Shows out of State. 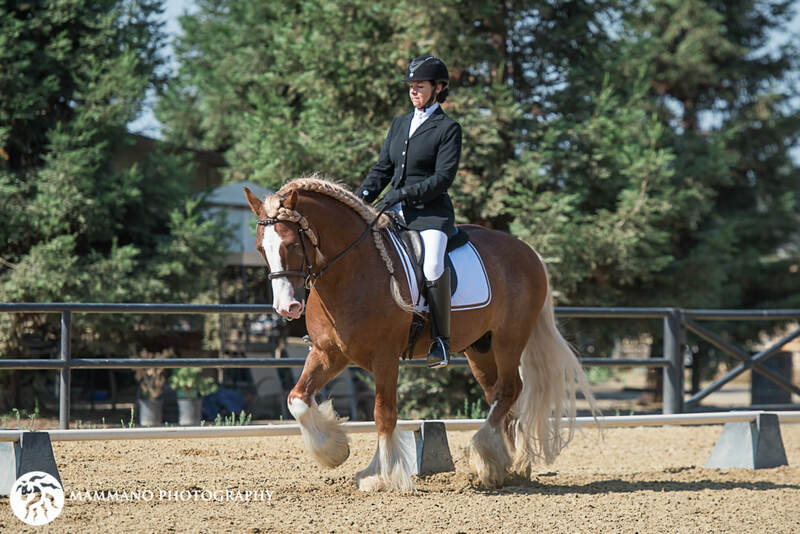 Stacy shows Gypsy Performance Horses in variety of disciplines including: Dressage, English, Western, Western Dressage, and In-Hand. 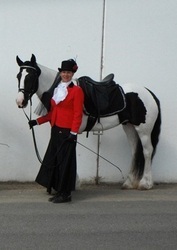 For fun, Stacy also enjoys choreographing and performing in breed demonstrations, costume classes, and parades. Stacy Sutton shows and campaigns Performance Gypsies for owners and breeders, and offers training programs for those who own, or wish to own Gypsy Performance Horses. 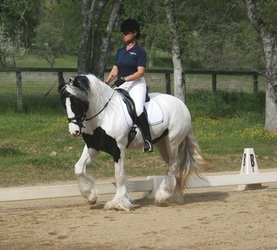 See our Gypsy Horse pages for more information.